Kane County State’s Attorney Joseph McMahon has been named as the outside prosecutor who will handle the case against Jason Van Dyke, the Chicago police officer who fatally shot 17-year-old Laquan McDonald. McMahon was sworn in Thursday morning following a months-long search after Cook County State’s Attorney Anita Alvarez asked that she be allowed to step aside. “This is an important case involving serious allegations," McMahon said after court Thursday. "It should be handled by a public prosecutor and an experienced prosecution team. This is a job I’ve been asked to do, and it’s what the public expects of its state’s attorneys." McMahon is the second special prosecutor to be named in the case. Last week, a Cook County judge appointed former Cook County Judge Patricia Brown Holmes to look into whether other Chicago officers were involved in covering up the circumstances surrounding McDonald’s fatal shooting. “We have one goal in this case, and that’s to present the truth in court and seek justice," McMahon said. Van Dyke is accused of shooting McDonald 16 times while the teen was walking away from police in October 2014. He was charged with first-degree murder and has pleaded not guilty. Dashcam footage showing the shooting was released to the public in November 2015, sparking protests and outrage nationwide. No one other than Van Dyke has been charged in connection with the shooting death, but two officers involved in the case were placed on administrative leave late last year, 14 months after McDonald was killed. The two officers were David March, who was lead detective at the time of McDonald's shooting death, and Officer Joseph Walsh, Van Dyke’s partner. Throughout the investigation, Walsh gave conflicting accounts about the events leading up to the shooting. Walsh told investigators "repeatedly" that McDonald was ordered to "drop the knife," claiming the teen approached them swinging the weapon before he was shot dead, the Chicago Tribune reports. Walsh also said he kicked the knife away from a lifeless McDonald after the teen "attempted to kill them," records show. None of the events Walsh explained could be seen in dashcam footage released by the city. 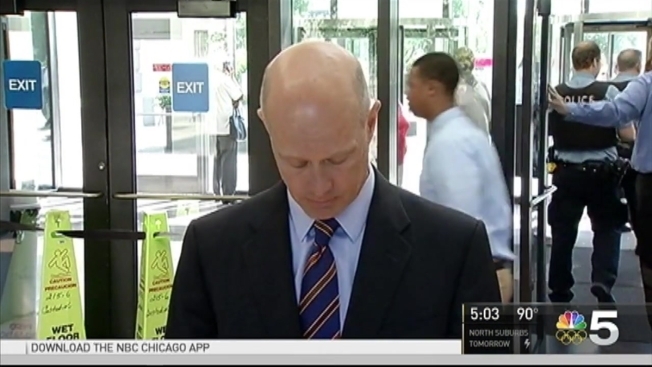 Alvarez has also faced mounting criticism over her handling of the case, with many questioning why it took more than a year to bring charges against Van Dyke.